We are the prominent Manufacturer, Exporter and Supplier of Ammonium Chloride available in fertilizer grade and industrial grade. Carefully formulated, our Ammonium Chloride is appreciated for its accurate composition and purity level. We offer our Ammonium Chloride in excellent quality packaging to ensure zero contamination during transit. 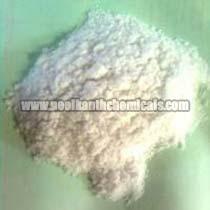 Furthermore, buyers can obtain bulk quantities of Ammonium Chloride at reasonable price from us.